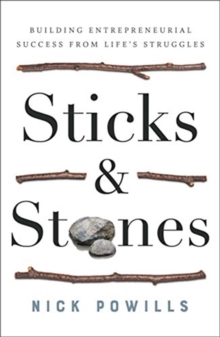 In Sticks and Stones, author and CEO Nick Powills shows readers how to figure out their path to success by drawing strength from their past struggles. Nick shows how to do this, sharing his personal struggle with weight and being teased as a kid fueled his drive toward becoming a successful entrepreneur. In addition, Powills' book provides clear formulas that help readers to turn their own struggles into strengths, so that they can achieve more--and define success on their own terms.